Fancy yourself a new pad? I stumbled across this 6 bedroom "cottage" yesterday and drew a deep breath when I saw that top photo overlooking the pool. That's what California living is all about. That endless, jaw dropping view. The bones of the house make me think of a Kelly Wearstler project from the AD archives. 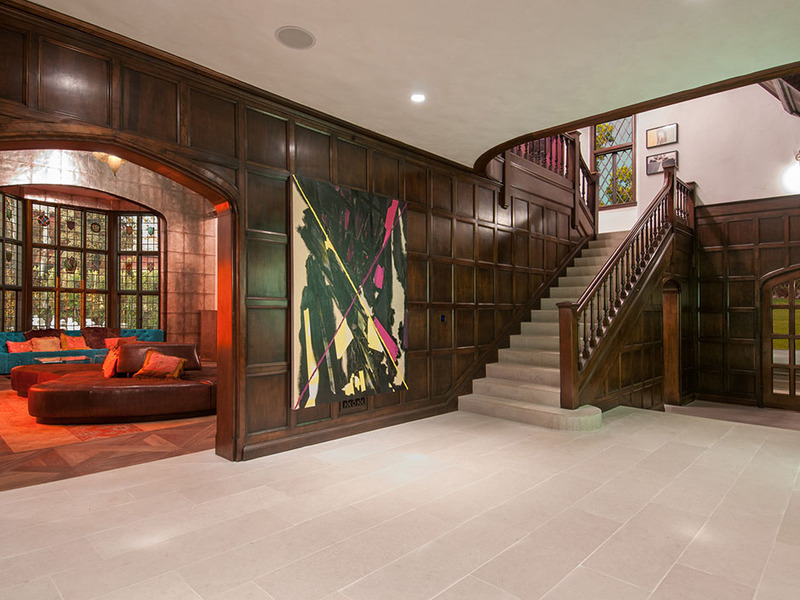 While it's not the same house, this pimped out English Tudor has seen its share of celebrity designers leave their mark. Elaine Culotti, Ralph Pucci, David Bromstad, Susan Cohen, Sami Hayek and Kyle Schuneman all played a role over the years on this 11,000 square foot spread on the best street in Santa Monica overlooking Riviera Country Club. Is it my taste? No. But isn't it fun to look at these fully outfitted houses with strong design choices and wonder about the owners or the experience of living there? Of course it is. We all love stalking "out there" real estate. This house holds more than a few signature details - no question. 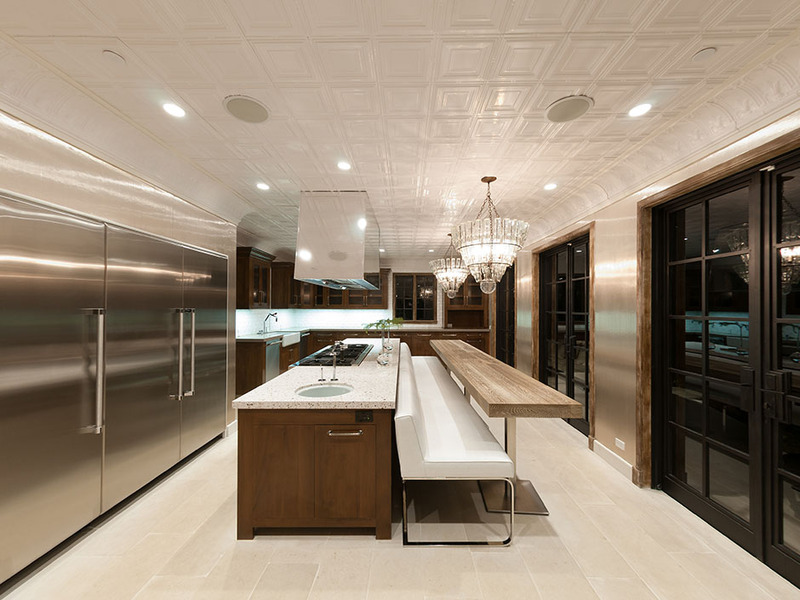 In addition to a fully tricked out recording studio, 6 bedrooms, 8 baths and an unexpectedly contemporary kitchen, the home comes with a rich history. According to the listing, "In its last incarnation, you might have found Grayson performing a duet with Mario Lanza while Judy Garland and Frank Sinatra cozied up by the fireplace and Howard Hughes slept in a guest room." All that's missing from that epic gathering is Marilyn Monroe. Let's suffice it to say you won't be moving in without going unnoticed by your well-meaning (and well-connected) neighbors.